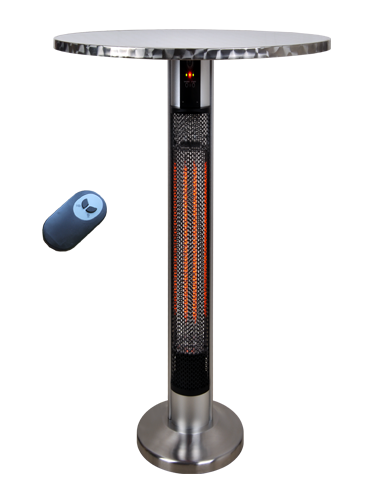 All Cronus infrared table heater models come with remote Control. 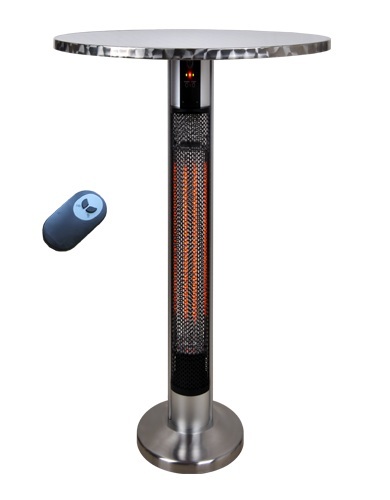 Our latest Monster - 360° 110cm Table Heater - Low glare Carbon Fibre Infrared Technology will heat you quickly and safely without danger of scalding or burning. Ideal for Commercial use in Cafes, Pubs, Hotels, Smoking Areas, Patios & Events. Infrared Heating Technology Heats People not the Air, therefore no wasted energy. This product saves at least 90% CO2 emissions when replacing gas heaters.